You are here: Home / Uncategorized / Which Path is Yours? I just had the honor of standing by as 23 amazing human BEINGS accepted their graduation certificates from Yoga Assets Teacher Training Systems. These newly certified yoga teachers are fired up, passionate and ready to help change the world, one yoga student’s heart at a time. As a part of our time together, we create a statement of our ‘STAND’. The students stand and say out loud what they are a stand for…in their lives, in their community, in the world. Nothing touches me like hearing these statements. Each time we reach this point, I realize how powerful we are. How much impact our words have over our actions. What a difference each of us can make, if we are willing to ‘be a stand’ for something greater than ourselves. So I’d like to extend the invitation to you. What are you a stand for? It might take some digging to figure it out. Are you a natural at entertaining kids? Do you love working with animals, giving presentations, planning events, taking photos, being patient with the elderly? Maybe you’re great at writing letters, rallying the troops, or being comfortable working behind the scenes. I believe in my heart of hearts that these gifts are given to you for a reason. And I know that you can use them for the greater good of all of us. What social causes do I care deeply and passionately about? What gets my creative juices flowing? What upsets me, what makes my blood boil? What makes me cry, feel sad, or lose hope? What do I find myself talking about more than anything else? When am I “in the zone” or in the flow with life? What is unique about my background and experience? If I only had one year left to live, how would I be living my life? Is there somewhere on the earth that I am being pulled to visit? Your answers to these questions will help you begin to shape a statement of what you are a stand for. 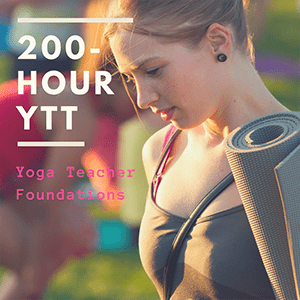 I am a stand for providing tools, information and inspiration that helps yoga teachers go out and change the world, one yogis’ heart at a time.